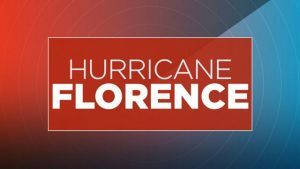 Florence survivors: Get free help filing FEMA appeals and reconsideration. RALEIGH · December 19, 2018 – Pro bono attorneys will help Hurricane Florence survivors file FEMA appeals and reconsiderations at free Saturday clinics on Jan. 12 in New Bern, Feb. 9 in Wilmington and Feb. 23 in Morehead City. See sidebar for details. Florence survivors have the right to appeal FEMA’s decision if it denied their application for assistance, or if they believe they are eligible for additional assistance. Survivors must appeal in writing – not by email – within 60 days of the date on their FEMA decision letter. Survivors whose appeal has already been denied can still ask FEMA to reconsider its decision if they can present compelling new evidence, like a late-arriving letter from their insurance company, to support their claim. Survivors who want to file an appeal or reconsideration can attend these clinics to learn more about their rights and get free help from a North Carolina pro bono attorney. The clinics will start with an educational presentation given by an attorney with Legal Aid of North Carolina, followed by confidential, one-on-one meetings with pro bono attorneys recruited by the North Carolina Pro Bono Resource Center and the North Carolina Bar Foundation. The clinics are funded by a grant from the North Carolina State Bar’s IOLTA program and coordinated by the North Carolina Pro Bono Resource Center. At the clinics, the pro bono attorneys will help survivors figure out why FEMA made its decision and if they are eligible to file an appeal or reconsideration. For eligible survivors, the attorneys will help them prepare and send in their request. Survivors must register in advance to meet with a pro bono attorney at no cost. Survivors can register for free at ncprobono.org/assistance. No registration is required to attend the educational presentation. Survivors who register to meet with a pro bono attorney should bring with them all their relevant documents and a photo ID. “You don’t need a lawyer to file a FEMA appeal, but having one definitely helps. The process can seem daunting, especially for those who are still struggling to recover. Having an expert by your side can take away a lot of that stress,” Lesley Albritton, head of Legal Aid NC’s disaster relief efforts, said. “North Carolina lawyers have really stepped up to the plate to help Florence survivors,” Katherine Asaro, staff attorney with the North Carolina Pro Bono Resource Center, said. “These volunteers will provide a service that is critical to helping survivors get back on their feet, and it’s one that many couldn’t afford otherwise. We are incredibly grateful for their generosity. We are also very excited about partnering with local community colleges on this project,” she said. Legal Aid of North Carolina is a statewide nonprofit law firm that provides free legal services in civil matters to low-income people in order to ensure equal access to justice and to remove legal barriers to economic opportunity. Learn more at legalaidnc.org and follow us on Facebook and Twitter. The North Carolina Pro Bono Resource Center recruits, trains, supports, and promotes lawyers who provide pro bono legal services in civil cases to North Carolinians with unmet legal needs. Learn more at ncprobono.org and follow us on Facebook and Twitter. DISASTER CASEWORK TRAINING: This training will provide an overview of Disaster Case Management, an introduction of Disaster Casework and equip participants with a practical tool for canvassing impacted neighborhoods. Having volunteers with this training will enable CCDRA to move forward with screening of households and assessments of need. The full Case Management Training will be offered later in the Fall. The training will be held Friday, November 9th and Saturday, November 10th 2018 in the Session House of the First Presbyterian Church, 418 New Street, New Bern, NC. The Session House is located to the right of the Sanctuary as you face the church from New St. The training on Friday will be from 1:00 pm to 5:00 pm and on Saturday from 9:00 am to 5:00 pm. Lunch will be provided on Saturday. Seating is limited, so please reconfirm or confirm your participation for both Friday and Saturday by return email to response2018@suddenlinknet with your name, t-shirt size, phone no. and mailing address. Last Date to request assistance is November 2, 2018. If you can volunteer, CCDRA needs you!